At one point in the film, Scarlet takes some of the minions as hostages, tying them to explosives and taping their mouths shut. Some Minions’ butts are visible at various points throughout the film. At one point, security guards are hypnotized to undress and slap one another’s butts. One scene takes place in a bar with beer. The Queen of England is active and challenges traditional stereotypes regarding femininity as she fights back against the Minions when they attempt to steal her crown. Scarlet Overkill challenges traditional gender stereotypes regarding femininity. Scarlet is the first female supervillain and has a large fanbase supporting her. She is strong, active, and intelligent. Additionally, she fights and wins against other male villains. However, Scarlet is also considered the main villain in the movie and is an unlikeable character. Scarlet enjoys committing crimes and manipulates those around her to help with those crimes. Drag and gender play are present a few times in the film, but are used for comedic purposes. 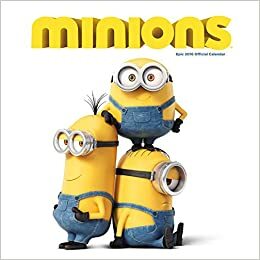 All of the Minions appear to be masculine, as they all have masculine names (Stuart, Paul, Kevin) and are voiced by a male actor (Pierre Coffin). Minions often ogle Scarlet and other characters and objects in the film (the male gaze). The film does little to engage with racial and/or ethnic minorities, as all of the main characters are white. Although the Minions are not “white,” they are all yellow and do not appear to have racial or ethnic diversity within their species. Oftentimes in media, invisible and/or visible disabilities are used for comedic purposes. At one point, the Minions come in contact with the Keeper of the Crown—a blind, elderly man. When the Keeper introduces himself to the Minions, he is facing away from them and the Minions laugh and mock the Keeper. A Sumo wrestler, one of the few fat-bodied characters in the film, is used for comedic purposes. When the Minions fight the wrestler, they get stuck in his belly. Fat-bodied individuals are often stereotyped as overtaking space and inconveniencing others around them. The premise of the film, that the Minions must find a “boss” in order to survive as a species, is problematic because it puts forth the narrative that the Minions want to be oppressed by a boss and must do so in order to survive as a group. Bosses give the Minions’ lives meaning, and they are depressed if they are not under the control of a boss. The film legitimizes the idea that some people or beings “naturally” have more powers over others; the Minions were created to be servants. The idea that some beings are “naturally” more powerful or intelligent than others is a dangerous concept that has been used throughout history to justify various forms of oppression. The Minions cling to bosses they feel will protect and provide for them. However, these individuals usually turn out to be violent. It is important to know that just because someone protects you or gives you things, this does not mean that these are the qualities that determine a healthy relationship.